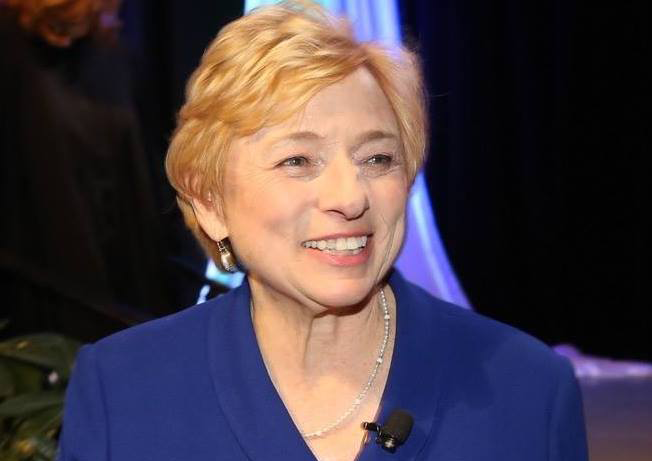 Governor Janet Mills is proposing her office receive a funding increase of nearly 26% over the previous state budget, the third highest increase of any department in Mills’ proposed budget. Photo courtest Janet Mills official Facebook page. AUGUSTA – Tucked away in the outline for Janet Mills’ proposal for a new $8 billion two-year state budget proposal that some are saying is unsustainable is a list of spending increases or decreases by department of state government. The department with the third highest percentage increase is the office of the Governor, called the “Executive Department” in the budget overview document, with an increase of 25.79%, or about a $2.2 million increase from the previous budget for Governor Paul LePage’s office. Partisan allies of Governor Mills also see their departments boosted in the proposal, with the three Constitutional Offices, all occupied by Democratic allies of Mills also seeing major funding boosts. The office of Attorney General, now occupied by former Democrat Representative Aaron Frey, would see a 17.98% increase in funding and the State Treasurer’s office under new Democratic State Treasurer Henry Beck, also a former Democrat State Rep. would see a 20.52% increase. The Secretary of State’s office, which is run by Democrat Matt Dunlap, would see an 11.17% boost in funding. 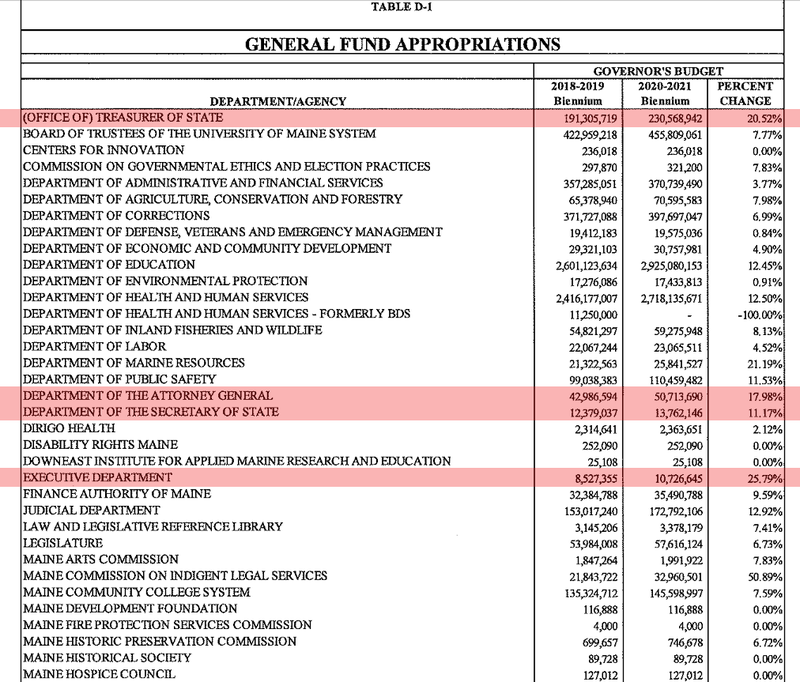 The proposed spending increases in the four departments discussed in this article highlighted in table D-1 from Governor Janet Mills’ budget overview document. View the document here. The only departments that see a larger increase in proposed funding that Mills’ proposal for her own office are the Maine Human Rights Commission and Indigent Legal Services. Overall, Governor Mills’ proposal would increase the state budget by more than 11%. You can view Governor Mills’ proposal document in it’s entirety by clicking here. Follow Maine Examiner on Facebook to get news and information you won’t find anywhere else.